"This is Princess Telulah Bear. 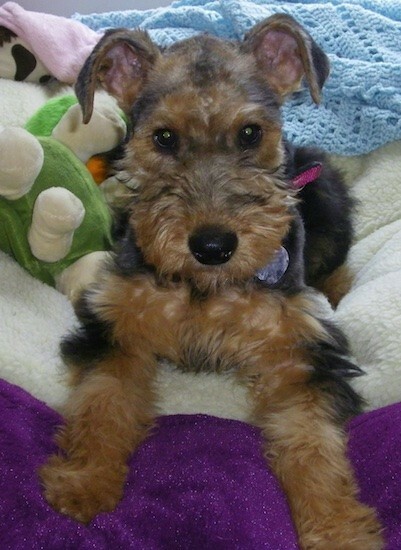 She is a 3-month-old purebred Airedale Terrier puppy who is the absolute joy of our lives, but I think that sometimes she forgets that she is a canine. ;-) She prefers to be carried like a baby (which she is getting way to heavy for) and she loves her log bed with her teddy bear and blankies!"